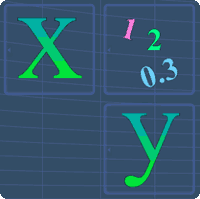 This page contains the list of lessons on basic algebra. Here, see the introduction to algebra and some lessons to get you started. Each lesson consists of a math video, study tips and practice questions. The lessons below show you the basics ideas behind algebra. This lesson introduces you to algebra. Here, you will get to learn what algebra variables are all about.